When you are doing business online, it’s absolutely essential you come across as credible and trustworthy on your website. Trust is the essential lubricant that allows business transactions to take place, in the physical world and in the online world. But it’s even more important online because people can’t see you in person. As a small business, you can’t afford the money it takes to establish a national brand. There¬fore, you must build trust and confidence from the moment visitors land on your site. The way we determine the credibility of a website is similar to the way we determine credibility in any other situation: are we familiar with this person or business? Have we had previous, beneficial dealings with them? Do they come recommended by someone we trust? Does it look and feel right? This last point is particularly important. I will discuss it more shortly. Research by Stanford University shows the average person pays far more attention to the superficial aspects of a website, such as the way it looks, rather than to its content. For ex¬ample, nearly half of those surveyed (46.1%) assessed the credibility of sites based on the layout, typography, font size and colour schemes. This reliance on a site’s overall visual appeal to gauge its credibility occurs more often with some categories of sites then others. For example, visual design ranks higher with sites associated with finance (54.6%), travel (50.5%), and online stores (46.2%), and with less frequency when assessing health (41.8%), news (39.6%), and non-profit (39.4%) sites. The emphasis people place on a site’s visual design is worth exploring a bit more deeply. It doesn’t mean fancy graphics will automatically make you appear more credible. It very much depends what market you’re in. A blinged-up site is likely be credible if you’re aiming at the teenage market but not if you are providing investment advice to retired people. Sites such as Google and Wikipedia have a high level of credibility as information resources partly because they look staid and academic. So the first step to making your site credible is to know your audience, and meet their ex¬pectations in terms of look and feel. For years I’ve displayed a photograph of myself on my own websites. I’m absolutely certain it is a key reason why my sites are so successful at bringing in new business. I don’t show my photo because I think I’m handsome. If only! I put it there for only one reason – so visitors to my site will perceive me as a person and therefore begin to establish a relationship with me. Give people the choice of doing business with a cheerful, competent person rather than a faceless corporation, and they’ll choose the person every time! It’s important to remember, as a small business, you and your people are what set you apart from your competitors. If you hesitate to display a photo of yourself, perhaps you can show a group photo of your staff or sales team. This kind of team photo can help to convey the personal service you show your customers. If you have an existing ‘bricks-and-mortar’ business, show a photo of the building, too. Even if it doesn’t look spectacular, it demonstrates that your business is genuine, and this all helps to build trust. In addition to photos of you and your staff, find stock photos of happy people who are part of your target demographic. Your prospective customers will relate to the people they see on your site. Below is an example of how you can use a stock photograph of happy people to create a personal bond with your target market. While people don’t like to read pompous, elevated claptrap about you and your business, they do like to read your personal story. People love to read about other people. The newspaper and magazine industry have known this since the beginning of time. A personal story about how you came to set up your business, the reasons why you started it and your personal values etc. will always be read. In fact, telling your own personal story, in a friendly and chatty manner, can be a powerful way to build trust on the Internet, where everything is usually so impersonal. It will help you to build a bond of friendship and trust that will produce sales. Testimonials are perhaps the best method of all to building your credibility on the Inter¬net. They show that ordinary people have used your product or service and been happy. You can never have too many testimonials. In fact, the more the better. Most businesses neglect getting testimonials because they don’t like imposing on their customers. If your customers are slow at providing testimonials, even if you ask them politely, you can make it easier by phoning them and asking them to tell you in their own words, while you write down what they say! 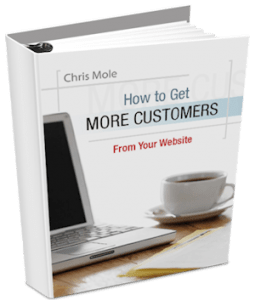 This way, you make it relatively painless for your customers and they are usually happy for you to paraphrase their comments slightly on your website. These testimonials lack any real credibility, because how do people know they are genu¬ine? They could be fakes. That’s why it’s important to have the name, business name and other details that will help to build credibility. Ideally, you should also use a photograph of the person giving the testimonial. This is a powerful way to add extra credibility. Your testimonials should be highlighted in some way, such as putting them in a box, to make them stand out. Testimonials are extremely powerful persuaders so you should do everything you can to get them read. It’s best to take only two or three sentences for the testimonial, to make it shorter and more punchy. Feel free to remove extraneous phrases, as long as you don’t change the overall intent of the person giving the testimonial. Ideally, try to get a selection of testimonials on various aspects of your business – for example, one about your great customer service, another about your selection and prices, a third about how you took special time to explain something, a fourth about how they recommend your site to their friends, and a fifth about the promptness of your emails and shipping. One of the reasons for Amazon’s success is its customer reviews, which lend a huge amount of credibility to the site. Signs that other people have visited your site before, and their ex¬perience has been positive, are hugely important. your reputation within your industry. If you write all of this with a spirit of candour and integrity, you can guarantee your copy will be a winner! With all these proof elements you have outlined, your most commonly encountered enemy, scepticism, is largely swept aside. The more contact information you put on your website, the more it increases trust among your prospective customers. Put a street address, phone numbers and email contact, so it’s as easy as possible for people to check you out and contact you. Consumers are wary of websites that provide minimal contact details.